#12950 SEAT COVER ONLY, Fits 1964-67 Continental, 68 TT-500, XL-500 & 350, 69 Roadster, Scrambler, Digger, Goat. 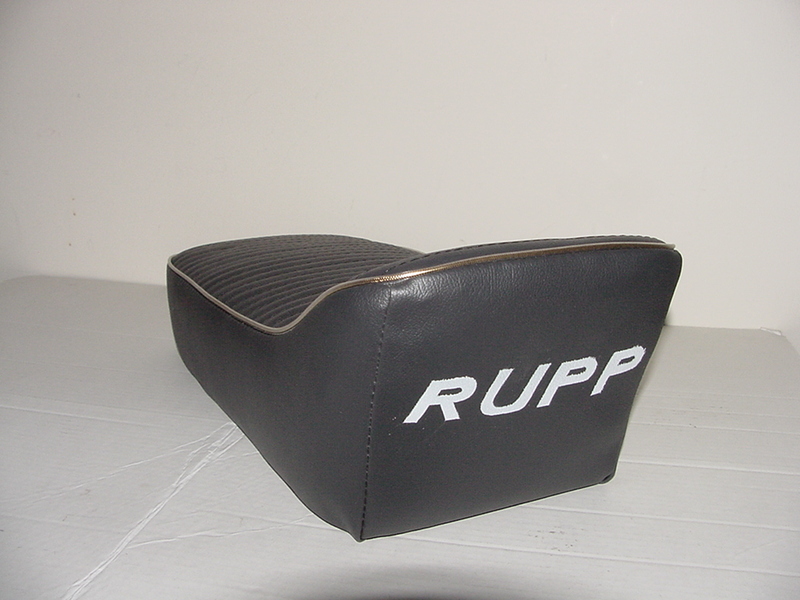 Reproduction, This is our restoration seat cover, has heat seamed pleats. Does not include the foam or base.